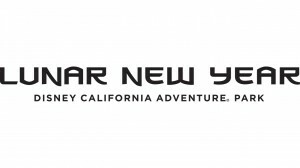 Guests at Disney California Adventure have the chance to celebrate the Lunar New Year for 17 days starting January 20. The Lunar New Year Celebration will including food, live performances, activities, décor, limited-time merchandise, and Disney characters in their Lunar New Year costumes. Each night during the celebration, World of Color will feature a six-minute preshow called “Hurry Home.” The preshow tells the story of a Little Lantern on a journey to join its Lantern Family to celebrate the Lunar New Year. The show will also feature Mulan and Mushu and an original score that includes music from the Grand Opening of Shanghai Disney Resort. The Lunar New Year Celebration is meant to honor the Lunar New Year that is traditionally celebrated in Chinese, Korean, and Vietnamese cultures. The event will also include three new Asian marketplaces serving food inspired by Chinese, Korean, and Vietnamese cultures, an entertainment that includes Chinese acrobats. The event runs from January 20 through February 5.